Spring is finally here! How about a classic English High Tea, served on an elegant 3 tiered plate? 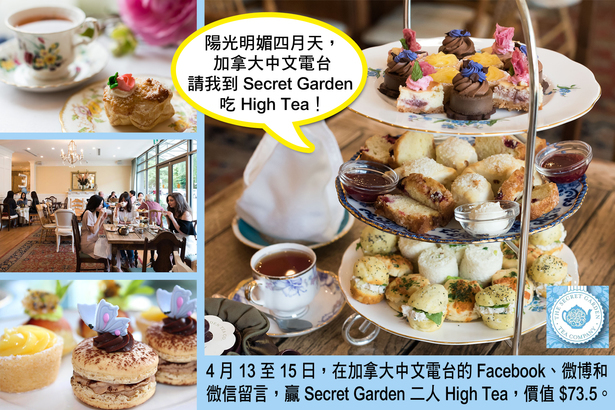 Leave a comment on our Facebook, Weibo and WeChat and you will have a chance to win Secret Garden Tea Company's High Tea Set for 2, valued at $73.5!